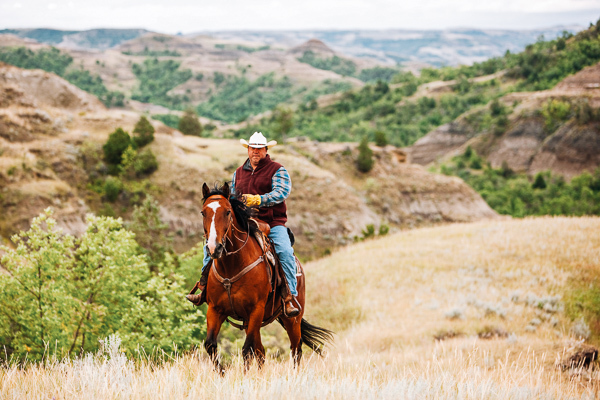 This 5.8 mile Trail follows the Little Missouri River bottom southwesterly from CCC Campground, then climbs the Long X divide generally following the original route of the early era cattle drives. As you break out of the trees, at different points throughout the climb, there are breath-taking vistas of the badlands and Little Missouri River. Follow the Trail through the flat grasslands to connect with the Maah Daah Hey Trail and loop back to CCC Campground (approx. 5 miles). Hikers, mountain bikers, horseback riders, maybe more, and maybe more.